Susie's Beach House is a comfortable three bedroom holiday house that is only a short walk to beaches, shops and restaurants. The house is located 500 metres from three beaches, local hotel and restaurants. 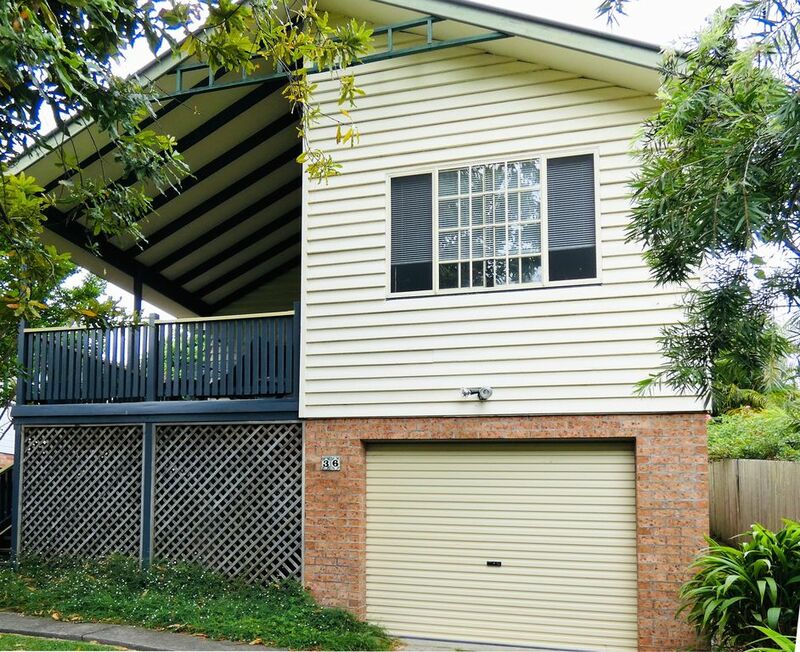 Susie's features include a large covered deck off the lounge room. The lounge room has a large LCD TV and the main bedroom has a LED TV. There are ceiling fans in all rooms, a gas BBQ, fully fenced yard, off-street parking and access to a lock-up garage. Bedroom 1 has a queen bed, bedroom 2 a double bed and the 3rd bedroom has a double bed and a single bunk bed. Please note at the current time you will need to bring your own sheets and towels. If you are unable to do this, for an additional charge they can be hired through local linen supply services and will be available on your arrival. All other bedding is provided. The main bathroom has a shower, vanity and toilet. The second bathroom with bath/shower and toilet is situated in the laundry area which is attached to the rear of the house. It is accessed by stepping outside the back door of the house for 2 metres to then enter the laundry. At this time we are unable to accommodate pets. Local Attractions - There are five beaches nearby as well as historic Trial Bay Gaol built in the 1880s, Smoky Cape Lighthouse and many scenic bushwalks. Other popular activities in and around South West Rocks include walking on coastal tracks in the National Park, diving, fishing and golfing. At the gaol you can take a tour of the ruins and dine at the cafe there which overlooks Trial Bay. It is also worth a visit to Smoky Cape lighthouse which is located on a headland overlooking the ocean. Those feeling like exercise can walk up the path to the lighthouse. Tours inside the lighthouse are also available at specific times and days. Gladstone is 15 minutes away on the banks of the Manning River with galleries, interesting shops and cafes. Location - Approximately 455 km north of Sydney, South West Rocks is one of the quietest and most attractive towns on the Mid North Coast, approximately a 5 hour drive from Sydney, or 25 minutes from Kempsey. The main town is located right at the beach with fantastic views up and down the coast. toilet, combination tub/shower, Located with laundry.Requires a few steps outside to access. Adjoins kitchen. Two additional stools at kitchen benchtop. As above, comfortable and close to the shops, beach and creek. Busy road the only bad point. Clean, comfy and perfect for our family. Great location, so clean and check in/out process was super easy. The balcony was great with the breeze but tree shade too. Can highly recommend and if we ever find ourselves in South West Rocks again, we will happily book in here again. The only very minor reason we gave 4 stars is that all of banged our legs several times on the glass topped table in the lounge. Would recommend swapping out. Thx. Well equiped and tidy residence. Beautiful property. Would def come back. Just feel for longer stay, a washing machine would be helpful..
We thoroughly enjoyed our short stay. Very comfortable for 4 adults and 2 kids. Only thing I would suggest is a mirror in each bedroom.